A long jacket always creates a flattering silhouette and in classic monochrome this jacket by Yoek will make a useful addition to your wardrobe. 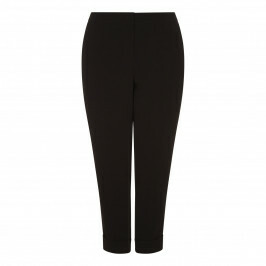 Wear it over an all black ensemble to create a stylish business ensemble or add a hat and heels for a special occasion. Black & White abstract print long waffle texture jersey jacket. 95% polyester, 5% elasthane. Wash at or below 30°C. Do not tumble dry. Do not dry clean.